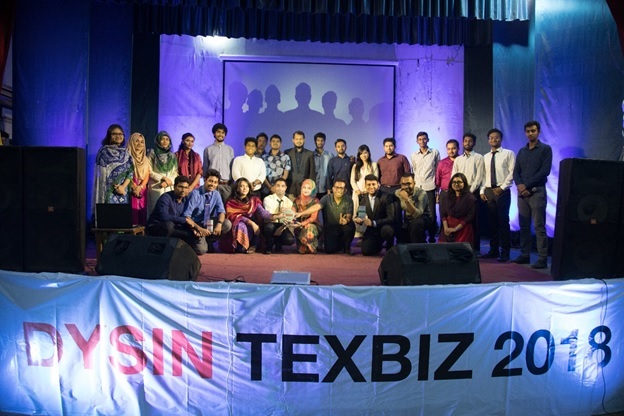 The three day long Intra phase of Dysin TEXBIZ 2018 initiated, marking 24th March in calendar, with an interactive workshop on business case solving, presentation formats and its ethics, conducted by Sadman Sadik, the chief content creator of 10 Minute School, in Bangladesh University of Textiles. Forming a team of four, 117 teams registered for the first round of the intra phase and attended the workshop to get pumped up for showcasing their financial, business, and teamwork skills in the case competition. The workshop began with the discussion on importance of case solving in the practical life of an engineer and how it shapes their professionalism and sharpens their situation assessment, information handling and last but not the least delivering something creative. The workshop got even more interesting when came the Q&A session. Participants got to know more about case solving and its challenges to be faced as they dived deep into the session. Later that night, the participants were briefed by the organizer about the business case they had to solve within 48 hours. The list of top 9 teams for the intra final was out on 30th March, Friday. The journey was quite hectic, but not to mention that it was a blessed one as well for it was not very easy to get selected out of 117 teams. On that day, BUTEX Business Club, the organizer of the event, arranged a special grooming session, to be participated by the selected teams, conducted by last year’s TexBiz finalists Shaiyan Chowdhury (Trainee Merchandiser, H&M) and Tanvir Anik (Trainee Merchandiser, Ha-Meem Group). 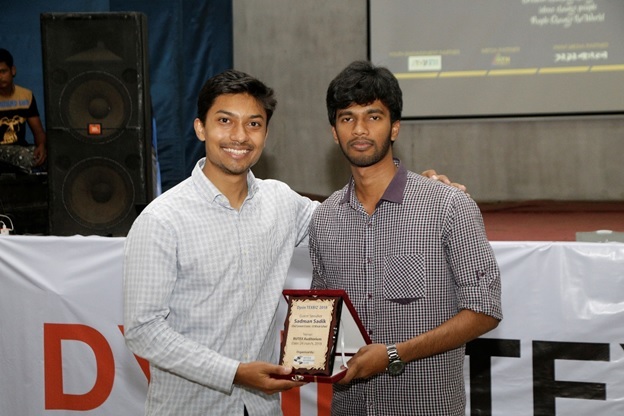 The awaited final round of the intra phase of Dysin TexBiz 2018 was held on 31st March at the BUTEX auditorium. It started with a grooming session taken by Mashroor Faiyaz Khan (the global graduate of marketing, British American Tobacco Bangladesh), followed by an instant case solving within 3 hours and a presentation round. 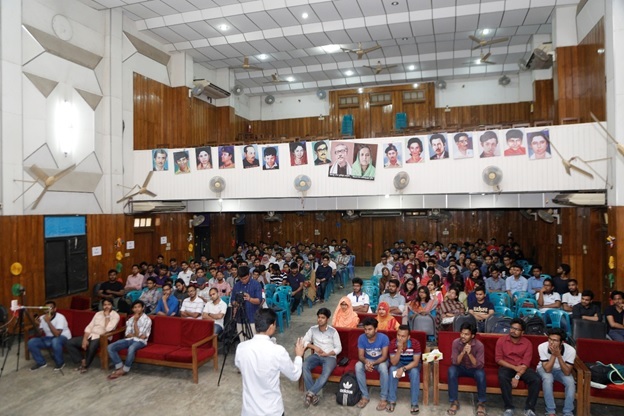 The chief guest of the program was the honourable assistant professor of Dyes and Chemical Engineering Department, Bangladesh University of Textiles and technical advisor of BUTEX Business Club, Dr. Abbas Uddin Shiyak. One after another, the nine teams got the chance to showcase their talents. 12 minutes were given for each team to pitch their solution and recommendation through the presentation round. Afnan Bin Ashraf (Management Trainee, Uniliver Bangladesh), Tashfia Mehreen Jalil (Assistant Relation Officer, Standard Chartered Bank), Mahboob Rahman Nafi (Cost analysist, ACI Ltd.) and Md. Rafid Ur Rab (Strategic Assistant, Banglalink digital communications Ltd.) were the four judges of the final contest. Finally the time came for the announcement of the champion team’s name. A tension was in the air. When the name was finally announced, the champion team, “Pioneers” burst out joy. The first runner up was “Valyrian Steelers”and “BizTex” became the second runner up. The teams “De jokers” and “Game Changers” got the 4th and 5thpositions. Through this competition, the top five aforementioned teams got free entry tickets to the upcoming Dysin TexBiz 2018, Inter-University phase and other exciting prizes. The four honourable judges and the chief guest highly appreciated BUTEX Business Club for taking this great initiative aimed to develop the latent talent of these textile engineers in business case solving. They think that this scheme can achieve milestone to make knowledge basedtextile community equipped with the latest corporate skills. Adding to the discussion, Md. 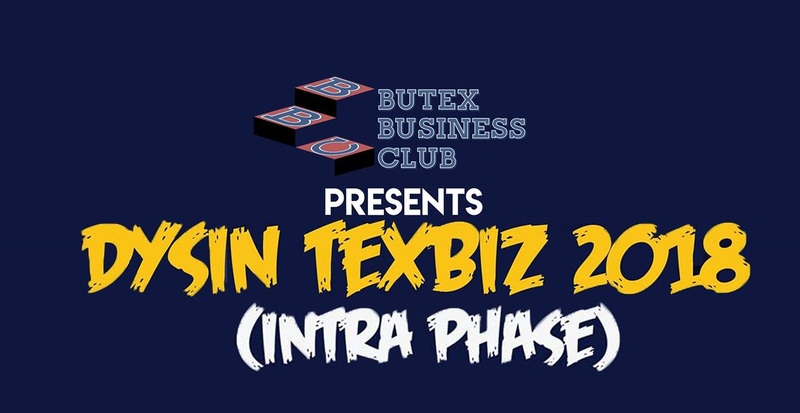 Ashraf, the president of BUTEX Business Club briefed that the Inter-university phase of Dysin TexBiz 2018 at a national level will be held on 16thApril 2018.